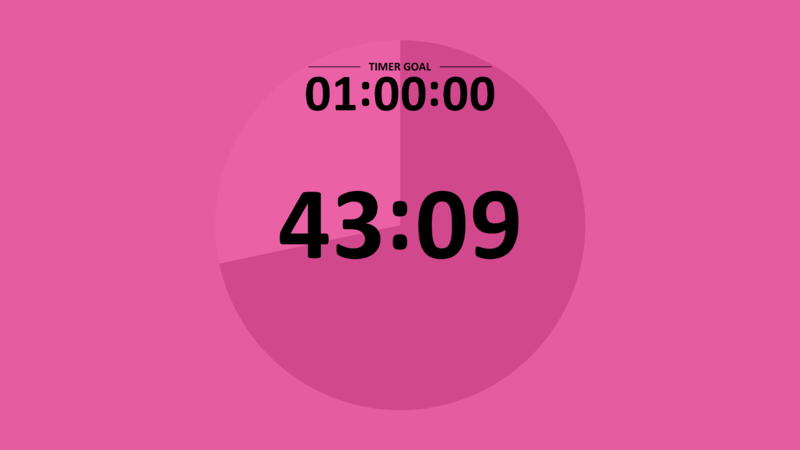 CountdownPRO is an elegant and easy to use timer for events, conferences, meetings and is designed to be used by AV companies and individuals. This timer is perfect for keeping track of time at events, conferences, meetings etc. 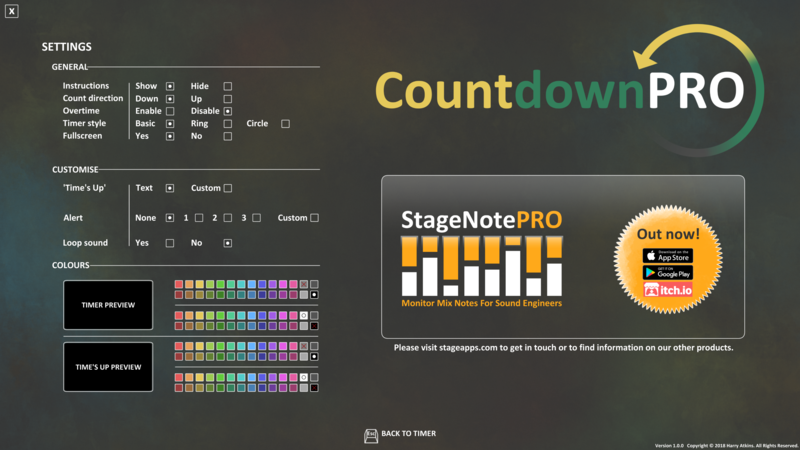 Display CountdownPRO on a comfort monitor and let your on-stage speaker stay on schedule at events. Hype the audience up for your product release, or even count down to midnight for new year, Christmas and other holidays! Set seconds, minutes and hours on the timer up to 24 hours. 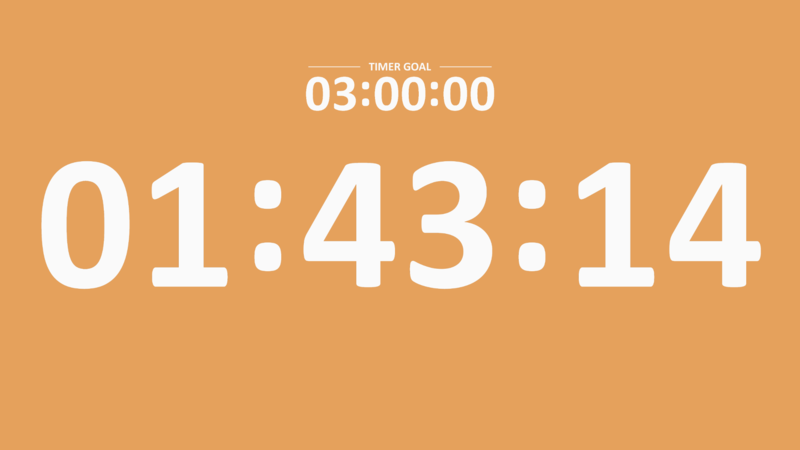 Change between counting down, or up to a goal time. 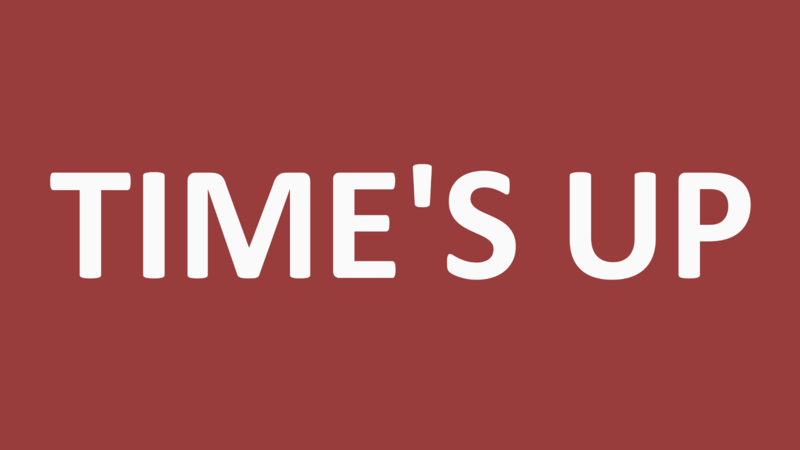 Save 10 time cues to the numerical keys. Choice of showing the amount of overtime once the timer has ended up to 24 hours. Wide choice of colour customisation. 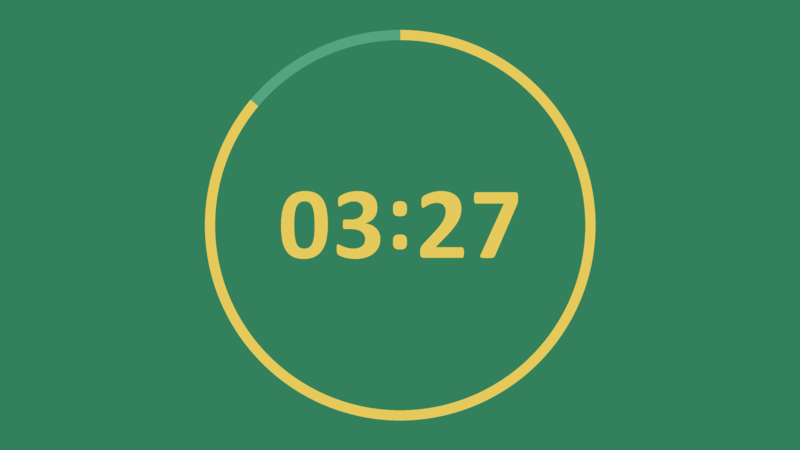 3 styles of timer: basic numbers, as well as ring and circle graphics. 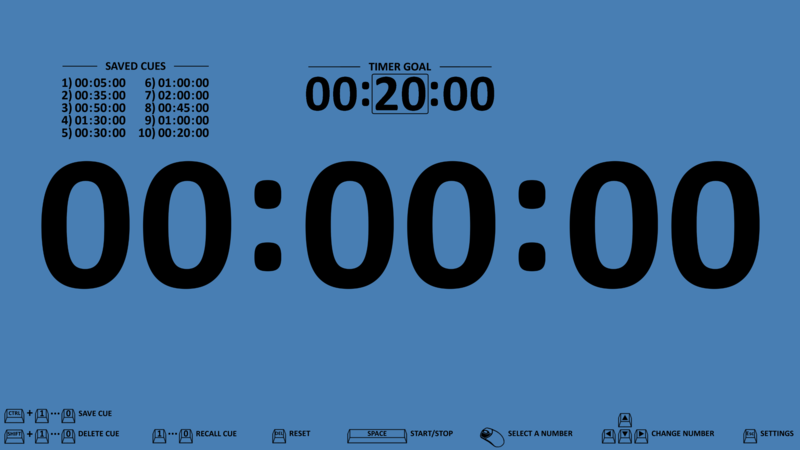 Use your own custom image when the timer ends (.png). 3 alert sounds with the option to loop, or use a custom alert sound (.ogg). CountdownPRO is now out for PC! Coming soon for Mac, iOS and Android.